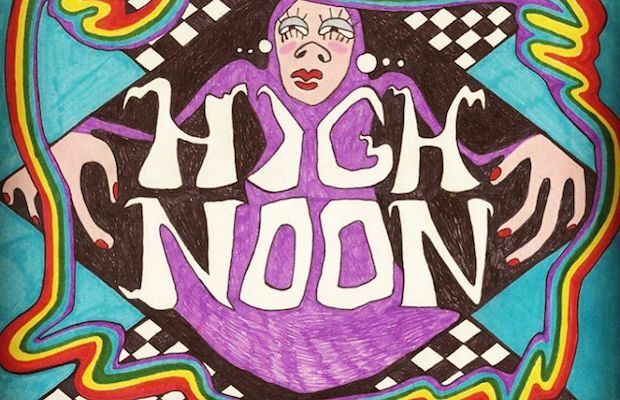 The third installment of local High Noon showcase is so packed with amazing talent, we can’t imagine why you’d want to be anywhere else tonight. Get ready to enjoy eleven mostly local bands, gracing the stages at Mercy Lounge and The High Watt tonight, May 6. The incredible night of music will feature a slew of Music City residents we’ve covered before, like folk rock outfit Liz Cooper & The Stampede, dream pop group Keeps, western tinged indie artists Lasso Spells, Ian Ferguson, psych rockers OJR, Crease Reader, psychedelic influenced baroque pop six piece Lucille Furs, country-fried rockers Teddy and the Rough Riders, garage rock outfit Charlie & The Evil Mothers, Station Wagon and Brooklyn based indie folkster Zack Puls. All this awesome for just $10. This 18+ event is once again curated by Lasso Spells, and is also being brought to you in part by local indie label Cold Lunch Recordings. Music starts at 8 p.m., doors open at 7, and the format is sort of like an 8 off 8th showcase, or a mini indoor fest. Band’s showtimes will be staggered between Mercy Lounge and The High Watt, with fans being able to pass between the two venues, via a connecting hallway, at will. There’s a little overlap, so if for some reason you’re not feeling one band or another, never fear, something new is starting across the hall. Check out the full rundown of who is playing where and when below, and be sure to click on after the jump to get a taste of all the great performances to come. Liz Cooper & The Stampede, Keeps, Lasso Spells, Ian Ferguson, OJR, Crease Reader, Lucille Furs, Teddy and the Rough Riders, Charlie & The Evil Mothers, Stationwagon, and Zack Puls will perform tonight, May 5 at Mercy Lounge and The High Watt. The show is 18+, begins at 8 p.m. (doors at 7 p.m.), and tickets are available to purchase for $10.